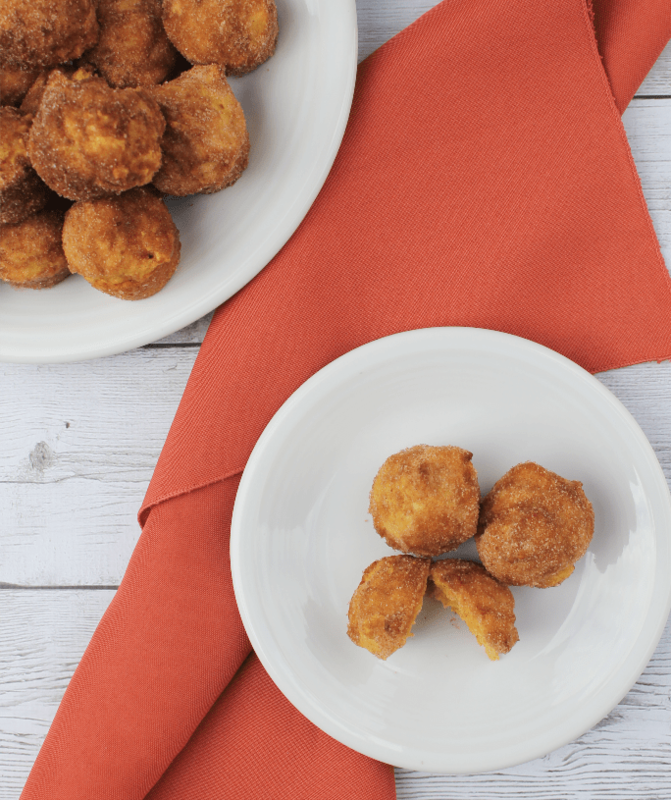 Pumpkin donut holes make a lovely fall breakfast. 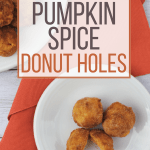 They’re easy to make and everyone loves having bite-size grab-and-go donuts! Donuts are one of the love languages my kids speak best. Can’t say that I blame them. My husband and I try to take each individual kid out on a date every once in a while. It’s a way for us to connect with one child at a time and let them be the center of attention for a little bit. One of their favorite places to go for a date is to the donut shop. We call them “donut dates,” and it’s a fun way to share a tasty treat and create fun memories together. 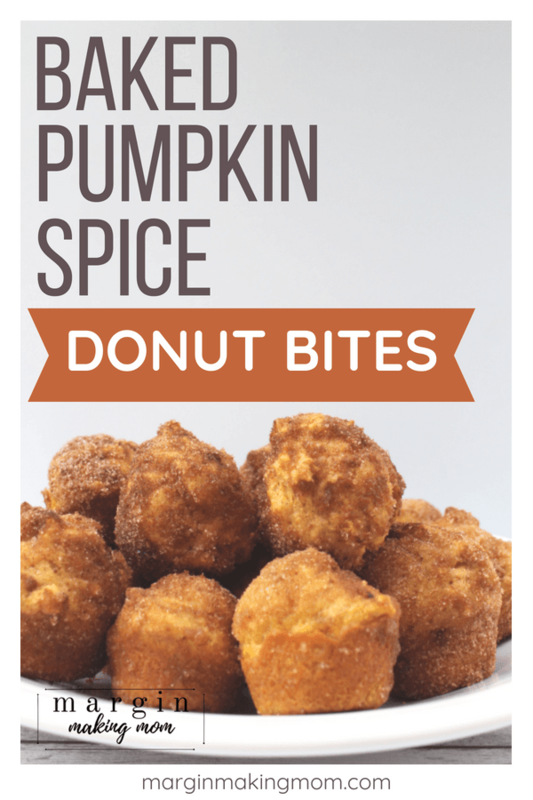 So I knew that creating our own version of donuts to have at home, in between donut dates, would be a hit. I’ve been on a pumpkin spice kick lately. 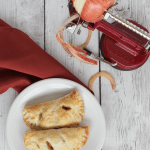 Once back-to-school season begins, I know fall is right around the corner, so I sometimes get a little ahead of mother nature and start making some seasonal favorites. 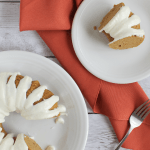 My kids LOVE Grandma Wilhelm’s pumpkin bread, and since I had some leftover canned pumpkin puree from making a pressure cooker pumpkin spice bundt cake, making pumpkin donuts was a no-brainer. 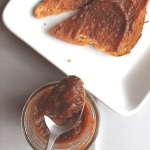 One of the best things about this recipe is how easy it is to prepare. You start with some good ol’ Bisquick, add in some sugar and pumpkin pie spice. 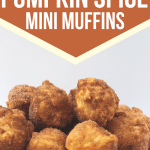 Add in some pumpkin puree, egg, oil and milk, and mix those well. 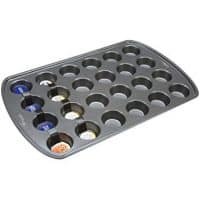 Then they’re baked–I use a mini-muffin pan to make mine in the mini-size, but you could also use a donut pan if you want them to be full-size. 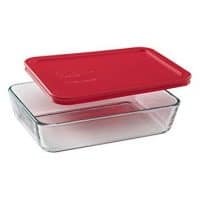 Once they’re baked, this is where the magic happens. 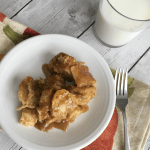 You’ll dip each one into some melted butter, then roll it around in some cinnamon sugar. Mmm, mmm good. 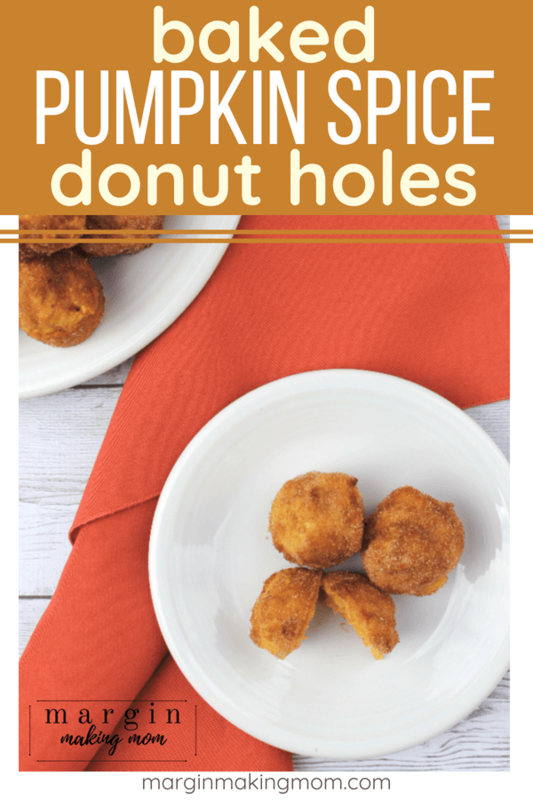 Seriously, these little pumpkin donuts are such a tasty treat for your cool fall mornings! Preheat oven to 400F. 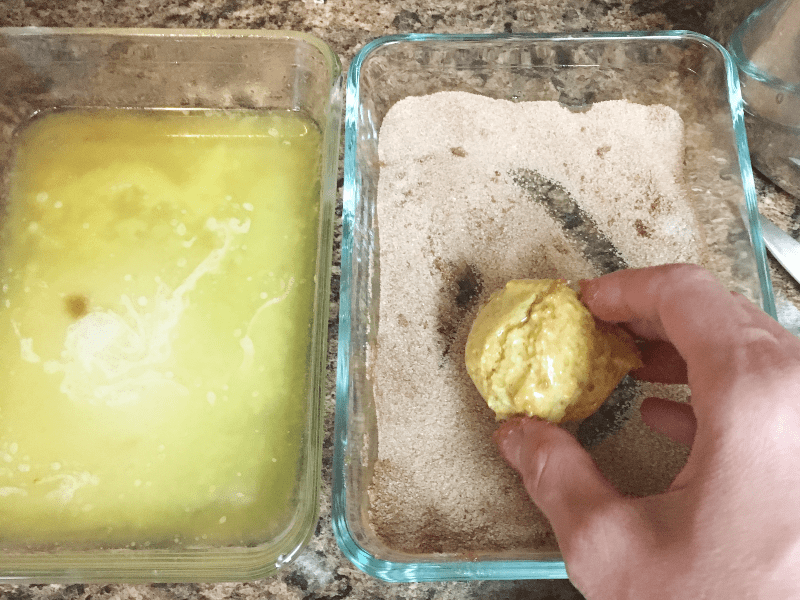 Grease a mini muffin pan or a donut pan with cooking spray. 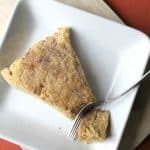 In a mixing bowl or the bowl of a stand mixer, combine Bisquick, sugar, cinnamon, and pumpkin pie spice. Whisk to combine. 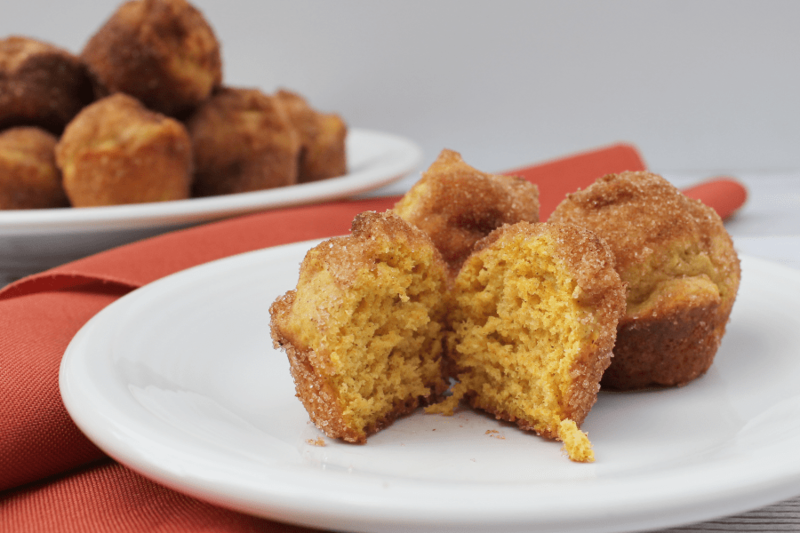 Add pumpkin puree, milk, egg, and oil to the dry ingredients. 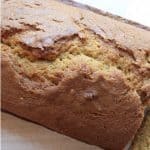 Combine all ingredients, either mixing by hand or with the stand mixer. Scoop batter into prepared pan. Bake for 10 minutes, or until golden brown and toothpick inserted in center of a donut comes out clean. While donuts are baking, melt butter in one shallow dish, and combine 1/2 cup sugar and 2 tsp cinnamon together in another shallow dish. Once donuts are finished baking and are still warm but cool enough to handle, roll each donut into the melted butter, then into the cinnamon sugar mixture.